I grew up drinking Milo and Horlick. Because Ovaltine seemed to be less popular where I grew up, I was of the impression that it was a cheaper alternative to Milo. In New Zealand, Milo are easily available from most major supermarkets but Ovaltine and Horlick are pretty hard to find. I was brought up to believe these drinks were nourishing drinks best to be drunk in the mornings and at night, unlike coffee or tea with caffeine contents may keep you well and truly alert all night. Nourishing drinks provide you with extra energy and calories as well as fluid to keep you hydrated. Milo’s tagline if I remembered correctly years ago was simply ‘Milo, good for you’. When I was a primary school kid, I looked forward to Sports day where milo vans from Nestle would come round and distribute milo in paper cups. They were chilled and ever so refreshing that we would queue again and again for another and yet another cup. Good old memories so here’s a post dedicated to these nourishing drinks who made it with me through the years. Milo /ˈmaɪloʊ/ is a chocolate and malt powder which is mixed with hot or cold water and/or milk to produce a beverage popular in many parts of the world. Produced by Nestlé, Milo was originally developed by Thomas Mayne in Sydney, Australia in 1934. It is marketed and sold in many countries around the world. A jar of Ovaltine from the UK (2006), a mug of ovaltine made with hot milk and a tablespoon of the powder. Ovaltine was developed in Berne, Switzerland, where it is known by its original name, Ovomaltine (from ovum, Latin for “egg,” and malt, which were originally its main ingredients). Soon after its invention, the factory moved out to the village of Neuenegg, a few kilometers west of Berne, where it is still produced. Ovomaltine was exported to Britain in 1909; a misspelling of the name on the trademark registration application led to the name being shortened to Ovaltine in English-speaking markets. Horlicks is the name of a company and of a malted milk hot drink developed by the founders James and William Horlick. It is now manufactured by GlaxoSmithKline in the United Kingdom, South Africa, New Zealand, Bangladesh, Pakistan, India, andJamaica, and under licence in the Philippines and Malaysia. Are these drinks popular in your country? Do you drink them when you were young? Do you still drink them now? This entry was posted in drinks, Food (Makanan) and tagged health drinks, horlicks, milo, nourishing drinks, ovaltine by Little Borneo Girl. Bookmark the permalink. In my childhood too there were Milo vans during sports day (Malaysia and Singapore)! And yes, I remember the ‘good for you’ tagline too. But really, Milo back then was very sweet and I don’t think it was all that good for us 😉 Really, it’s hard to find Horlicks and Ovaltine in New Zealand at your regular grocery store? There are shelves of that here! I guess Malaysian and Singaporean coffee shops style of adding condense milk to coffee, Milo and such drinks make sweet drinks even more sweeter. Agreed that Milo like any chocolate drink is certainly already sweet on its own so is probably more an energy booster than a nourishment. Thanks for sharing, Mabel. Don’t know Milo but remember Horlick’s and Ovaltine fondly. Thanks for the memories– wish I had some now. Here, in the U.A.E. (Dubai anyone? 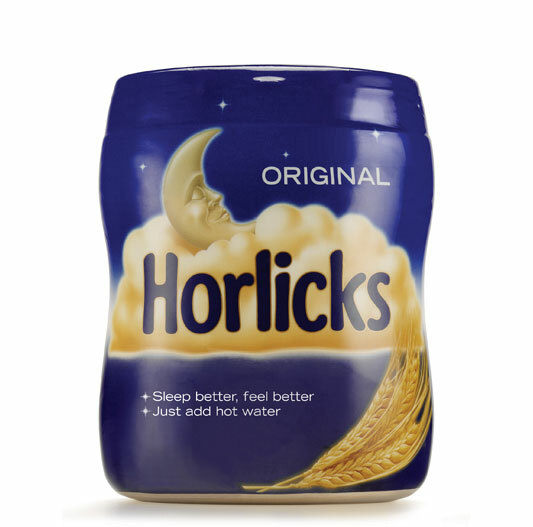 ), Horlicks seems to be a very a popular item; however, I only tried it recently and came to love it ! I always thought a hot cup of milk tastes ideally like Horlicks XD I was so disappointed when I tried my first cup of hot milk, but now that I encountered malted milk (Horlicks) I feel very satisfied :^D ! P.S. We also tend to mix it with a bit of condensed milk here, which I recently knew as well XD. Thanks for your article. Enjoyed it. I grew up drinking Milo. Didn’t drink Horlicks till my mid teens. I’ve never drank Ovaltine. Both Milo and Horlicks products are widely available in any supermarket in South Africa. I’m currently studying in South Korea, where they sell none of these products. Despite that, I’d order Singaporean Milo online and have it sent over. 🙂 Comfort Food. Nevertheless, I still drink Milo and Horlicks from time to time despite being 21 years old. My pleasure. Thank you for visiting mine too. who are all the competitors for horlicks in india? please tell me the vision & mission of horlicks? Not too sure on that. Google can probably help. I grew up drinking Horlicks and I think it’s been over 20 years since I last had it but I can still remember the taste. Are these still considered to be healthy drinks now though? Do you add sugar to them or just drink them “as is”? I don’t add sugar because they are sweet enough. I am sure sugar is already added with the malt drink. Add hot water and milk and you get yummy Horlicks. Of course like Milo, they taste better with condensed sweetened milk but that’s unhealthy. Where is Lagos and how? Interesting to read about Ovaltine, because I drink a lot of it. I like malts…when I was a kid…there was a Malt powder that we put in stuff. I don’t remember it being called Ovaltine though. After reading this entry I may have to try Horlick’s or Milo next time I’m in an international grocery store. Horlick is malt so could be similar to what you had. Strangely most kids born in the 60s (could be longer) and up grew up with Milo, especially. When I was in 2nd Grade probably back in 1987, I was sick and hospitalised for 2 months. During that 2 months, the only drink i was allowed was horlicks. Back then we only have Horlicks in Myanmar (Burma). Since then I hate Horlicks. Hehe. We later were introduced Ovaltine. Now Milo. 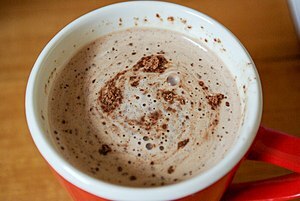 Btw, I regularly make Milo for my daughter for like 3 or 4 years almost every morning. And she seems more tan and tan. Could it be because of Milo? Obviously Milo is not white. Thanks. Thank you for your interesting comment. Indeed Milo is tan and it obviously will be a bonus if one can get tanned drinking Milo ! 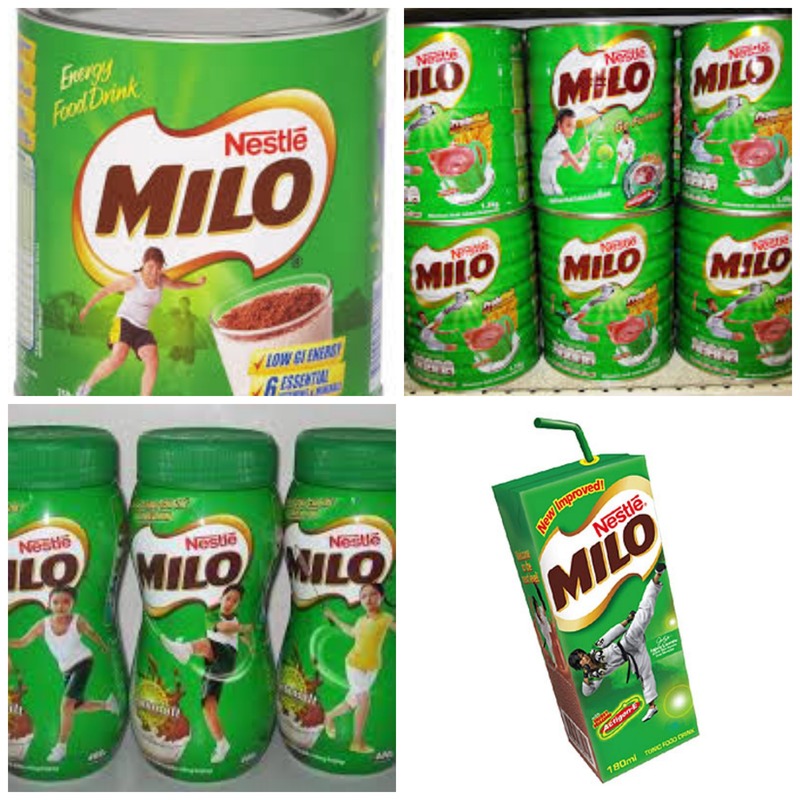 I grew up drinking Milo as well, but stopped when i was around 13 or so. When i got to taste a few years back, i was surprised at how much sweeter it had become, and how thinner in consistency it was. Now that i’m also in the food business, i found out that Milo’s formula changes per country. Here in the Philippines, most are under the impression that we like either really salty or really sweet food and drinks⏤maybe that’s why they changed it? You may be right about the change in consistency with Milo. I find its thinner, not sure about the sweetness. Those Milo served by the Milo van in those old days was so cold, thick and yummy. Sweet memories of school sports events. Horlicks may not be available in North America, but Postum was always the mainstay along with Ovaltine and Milo for Mormons, who cannot drink coffee or tea, in Canada and the U.S. I have never heard of Postum. Is it similar to Horlick or Nestum? Without doing any research, I’m fairly certain that all four products are chiefly malted barley with a little molasses, though I seem to remember the original Ovaltine in Switzerland (Ovomaltine) lacks molasses and other sugars. Unfortunately, the only one I’ve tried is Ovaltine, unless I had Milo in Taiwan and possibly Beijing a few decades ago. My impression is that Postum would be the least sweet of them all, and it probably lacks the whey that is added to Ovaltine. I think also that Postum was probably always mixed only with hot water and never cold milk as is sometimes used with some of the other products mentioned. I like these drinks because they don’t disappear quickly in my house with three daughters who usually devour hot chocolate or cocoa within a couple days. Thank you so much for the information. Cheers to Milo ! Since discovering this page, I’ve finally tried all of the mentioned products. Milo definitely tastes better than Ovaltine, even compared to the chocolate-flavoured version of Ovaltine. My third daughter devours Milo soon after I buy it. Horlicks, which I bought from a British importer, is quite interesting but less convenient to make. It does somehow ‘feel’ healthier, though. I think Milo will be my mainstay after I finish this batch of regular and chocolate Ovaltine. Ovomaltine is the original name of Ovaltine as it first existed in Switzerland. When it was imported to the UK, it was mistakenly or intentionally named Ovaltine, so it’s actually the same as what you’re used to, except that the original Ovomaltine doesn’t contain added sugar. Now I learn something new. Thanks for that info, Andrew. Has anyone tried any other choco / choco malt drinks? Here in the Philippines I’ve recently tried Choquik, Socolic’s (from Malaysia), and the new Ovaltine all-in-one, and so far I’m happiest with Socolic’s since it’s malty but not too sweet and thin.